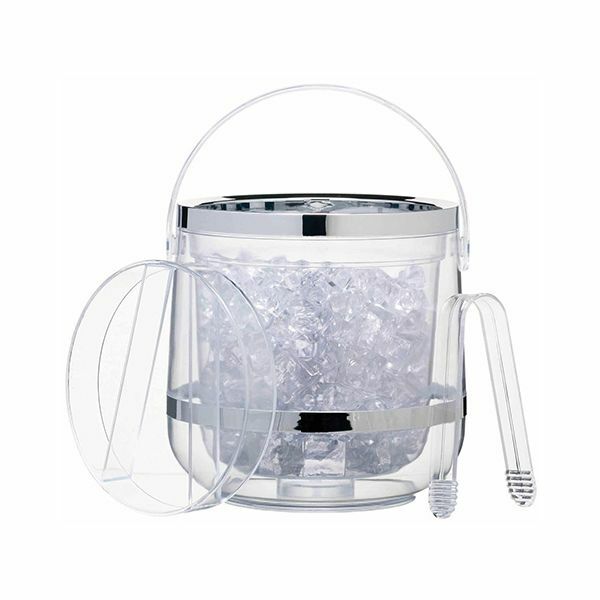 A must-have for parties, this double walled insulated ice bucket will keep your ice cooler for longer. Finished in clear acrylic with a polished silver rim the ice bucket also has a carry handle and lid. A set of serving tongs is also included.